The wild turkey has a firm hold on the American imagination, tethering us to the past and symbolizing a season of plenty. Today, wild turkeys number about 7 million - up from an all-time low of 30,000 birds in the 1920s, caused by habitat loss and over hunting. This conservation success is largely due to habitat restoration and transplanting birds into more suitable habitat. These activities are a tangible benefit from the hunting taxes collected in Alabama. Food - Turkeys love to eat young, tender green grasses and forbs. They'll also fill up on fruit, nuts, and insects when they get the chance. They will also eat grain from farm fields. Cover - Although turkeys use forests for cover and roosting in the tall hardwood trees at night, they also like open and brushy areas for feeding, mating, nesting and rearing their young. Turkeys actually depend on a mix of open fields, pasture and forested for their survival. Water - Turkeys need water almost daily, so hens rarely nest far from a reliable water source such as a creek, spring, seep, or pond. Space - A good quality habitat will support one bird per 30 acres (one flock per 640 to 800 acres). But because turkeys need a lot of living space, they may not remain on your property year round unless it's a big area over a 1,000 acres. Ok...so now that we know what turkeys need, how do I encourage them in my woods? Managing your property's natural vegetation is preferable-and less expensive-than planting food plots, but plots have their place in supplementing the flock's diet during stressful times and attracting birds for sighting and hunting. Disturbing the soil through shallow tillage (also known as "discing") stimulates the growth of highly nutritious forage, including native grasses and forbs. Mowing should go hand-in-hand with discing. Concentrate on edge roads, fire breaks and old fields to remove old-growth grasses and disperses the seeds. Thin your trees to let the desirable ones, such as large, mature, mast-producing and roosting trees, flourish. Also, thin the forest understory. Turkeys prefer an open forest floor covered in leaflitter for easy forage. This more open forest is also better for nesting and brood-rearing. Turkeys like open, brushy space and grasslands rich in forage. Grass-rich areas also provide safer nesting sites. These can be created by dear-cutting one- to five-acre patches through the forest. Prescribed burning is one of the most common tools for managing wildlife habitat. Controlled burns stimulate the growth of new vegetation, especially seed-producing grasses, forbs, and legumes. They also attract insects. Removing undesirable trees, cultivating desirable ones and planting mast-producing trees can all help nourish and attract wildlife. Ideally, 20 to 30 percent of your woodland should consist of these fruit- and nut-bearing trees. Turkeys love acorns and pecans, as well as dogwoods, huckleberries, blueberries, and other fruits found in the understory. Springs and seeps are an important component of turkey habitat. They not only provide water but also attract insects and provide greens in warm months. In arid areas, developing water catchments, improving riparian habitat, and installing water guzzlers are good ways to ensure your local flock has adequate water supply. 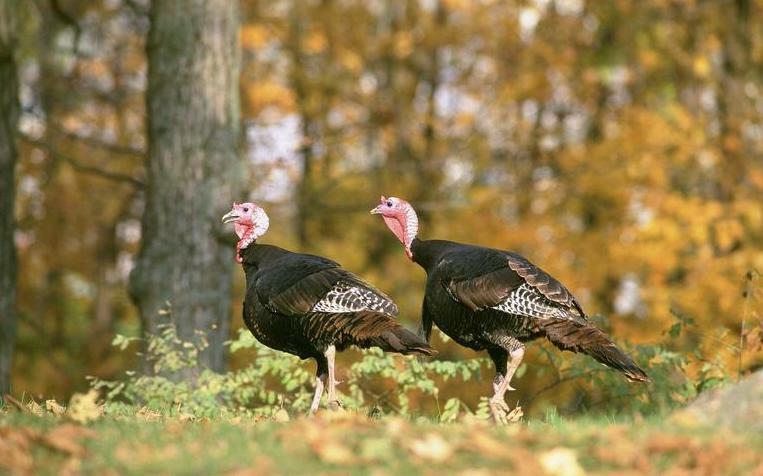 Hopefully these guidelines inspire you to encourage turkeys in your woods. 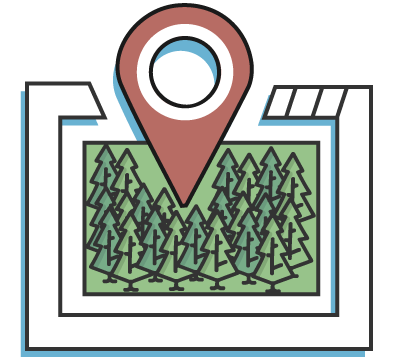 If you want more information about the opportunities on your land or want to get connected to a local forester, look up your land on WoodsCamp. It's a free tool for landowners to get an instant assessment the best next steps for their land.